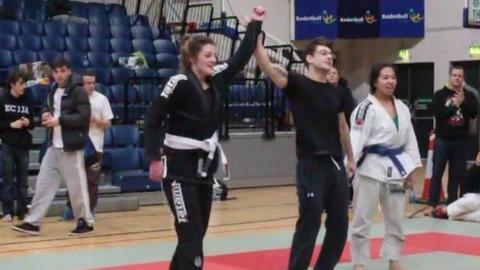 Saintfield woman Leah McCourt has clinched a bronze medal at the Brazilian Jui-Jitsu World Championships in Abu Dhabi. McCourt's latest medal added to her recent gold triumph at the recent European Championship. The 22-year-old won her quarter-final bout against the Jordanian opponent before losing a referee's decision in the semi-final. However, she regrouped to beat a Brazilian in the bronze medal contest. McCourt becomes the first Irish competitor to win a medal at a Brazilian Jui-Jitsu World Championships. The Northern Irishwoman was thrilled by her performance in the Emirates. "Insane competition. Unbelievable experience," said the 22-year-old on Twitter.